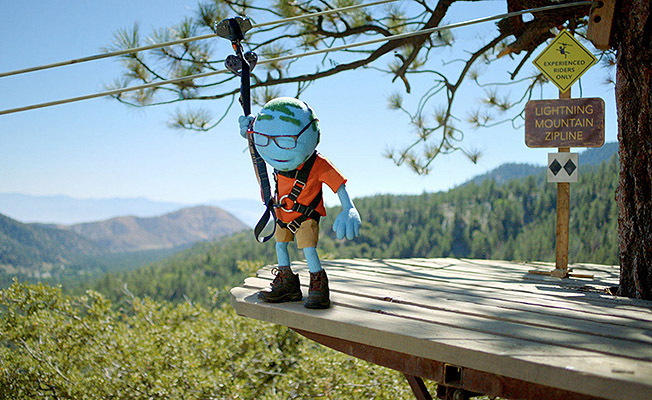 A personable and highly adventurous puppet known as Mr. World trips the light fantastic, dives into shark-infested waters and zips through the treetops with the greatest of ease in a new three-spot campaign for Eyeglass World from The Richards Group, brought to life by Tessa Films director Toben Seymour. What sets these new ads – titled “Shark Bait,” “Dance” and “Zipline” – apart from the prior campaign, says Seymour, is how Mr. World is now seen in more full body shots and engaging in more complex actions throughout the course of each exciting activity. To view the campaign, click here.